The Deutsch Lecture is dedicated to the study of international law. It is given annually as a tribute to Eberhard Deutsch, a distinguished Tulane Law School alumnus (L'25) with a national reputation in international and military law. The George Abel and Mathilde Schwab Dreyfous Lecture is dedicated to the study of civil liberties and human rights. It honors George Abel Dreyfous and Mathilde Schwab Dreyfous, who worked tirelessly to end segregation and discrimination against African-Americans in the South. 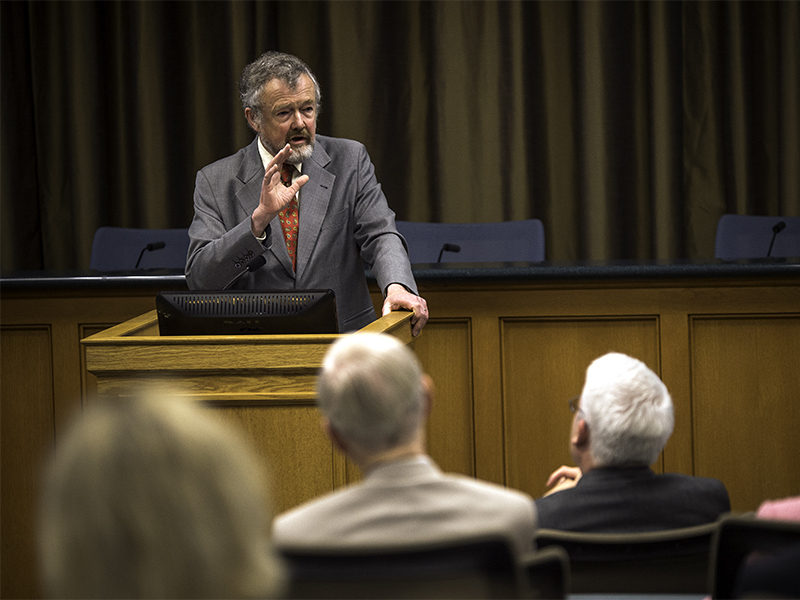 The Eason-Weinmann Lecture is dedicated to the study of comparative law. It was established in 1981 through the generosity of Virginia Eason Weinmann and Ambassador John Giffen Weinmann, a distinguished Tulane Law School graduate (L'52). The Wendell H. Gauthier Lectureship in Trial Advocacy and Practice is dedicated to the study of trial advocacy, skills training and dispute resolution. It was established in 2003 to honor Mr. Gauthier, one of the nation's most successful trial attorneys in the field of class action litigation. The McGlinchey Lecture is broadly dedicated to the fields of litigation practice, judicial adjudication and justice under law. It was established in 1996 by the law firm of McGlinchey Stafford to honor its founder, the late Dermot S. McGlinchey (L'57), who devoted much of his life to promoting equal access to the courts. The Phelps Lecture is dedicated to First Amendment law and related fields. It was inaugurated in 1992 to honor Ashton Phelps, Sr. (L'37), who practiced law at Phelps, Dunbar, Marks, Claverie and Sims and served as Publisher of The Times-Picayune. The Tetley Lecture is dedicated to the study of admiralty and maritime law. It was established by the Maritime Law Center in 1999 in honor of Professor Tetley, a Professor at McGill Law School, for his distinguished service to Tulane Law School's maritime program, his contributions to scholarship and his service to the international maritime community.